Total length 282mm, range 90mm: adjustable in 18 positions. Nitrogen pressurized compensation chamber to guarantee constant performance. 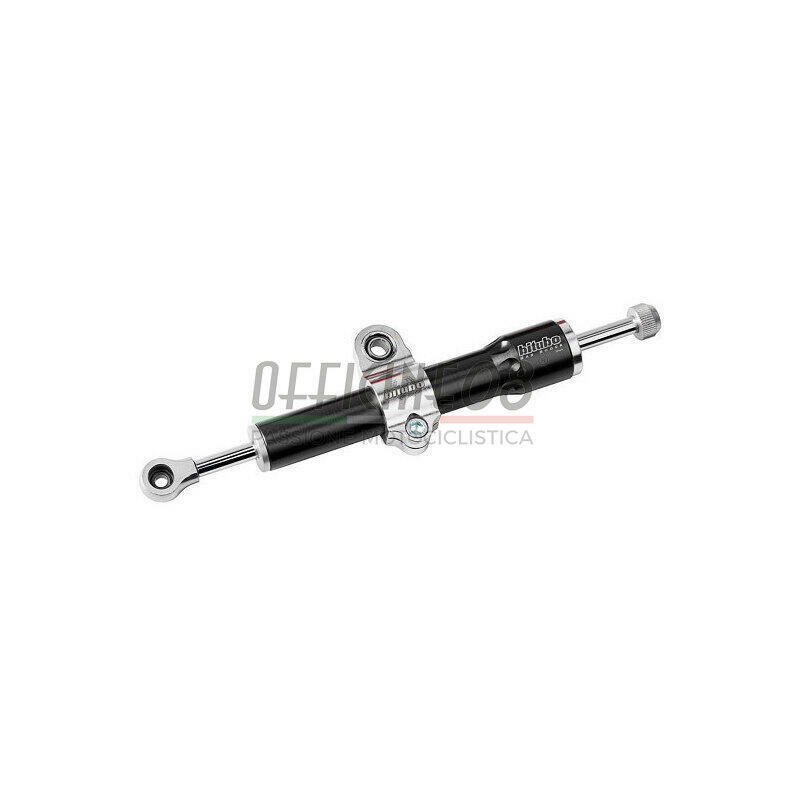 The steering damper increases the control of the front fork avoiding oscillations; very useful when street racing, off road or street riding on very uneven surfaces.